RONAN — Adilyn Aster- Josslin Farris was born July 16, 2018 at St. Luke Community Hospital. She weighed 8 pounds, 3 ounces. Parents are Joseph and Charlene of Polson. Paternal grandparent is Deborah Farris of Polson. Maternal grandparents are Joe and Keely Sheehy of Albuquerque, New Mexico. Siblings are Briella-Rose and Avah Lillie Farris of Polson. POLSON — Ethan, Lucky and BearTracks Calanche Jr. are excited to announce the birth of brother, Bidda Warrior Calanche. 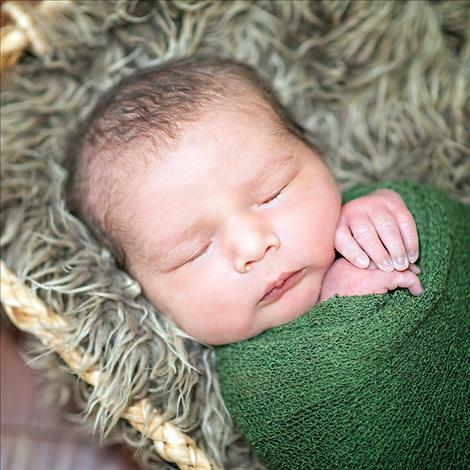 He was born July 8, 2018, at the Nesting Place in Providence St. Joseph Medical Center. Bidda was 19 inches long and weighed 7 pounds, 9 ounces. His parents are Star Yellowhorn and BearTracks J. Calanche of Polson. Maternal grandparents are Leslie Yellowhorn and Milton Born With A Tooth. Paternal grandparents are Gen Huitt and GreyEagle Calanche. POLSON — Jacob Stetson Woodrick was born July 19, 2018, at the Nesting Place in Providence St. Joseph Medical Center. He was 19 and one-quarter inches long and weighed 6 pounds, 8 ounces. Jacob’s mother is Margaret Woodrick of St. Ignatius. Maternal grandparents are Margaret Leonard and Steve Woodrick. Maternal great-grandparents are Margaret and Tony Stimac and Marry Sue and Phil Woodrick. POLSON — Bryisen Morgan is happy to announce the birth of brother, Hayden Finley Morgan. 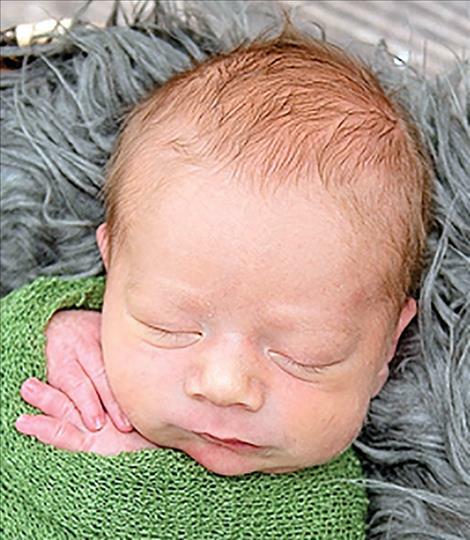 Hayden was born June 24, 2018, at the Nesting Place in Providence St. Joseph Medical Center. 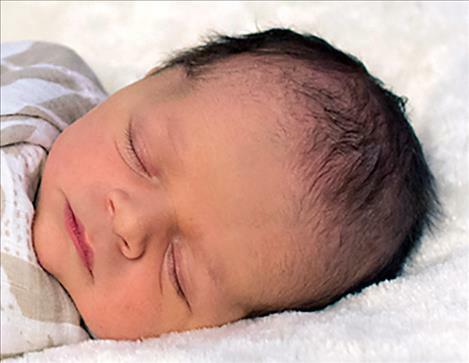 He was 21 inches long and weighed 8 pounds, 8 ounces. Hayden’s parents are Micaela McCrea and Joshua Morgan of Polson. Maternal grandparents are Devon and Dennis McCrea. Maternal great-grandparents are Lucille Johnson and Bob Mc- Crea. Paternal grandparents are Amy and Jesse Castlio. Paternal great-grandparents are Faye and Dale Morgan. POLSON — Wyndsdai Kalyopi Jeaona Huckabay was born July 27, 2018, at the Nesting Place in Providence St. Joseph Medical. She was 20 and one-half inches long and weighed 7 pounds, 11 ounces. She joins siblings, Ayden and Rylee Velo and Ryot Huckabay in the Huckabay home. Wyndsdai’s parents are Kristen Tweedy and Michael Huckabay of Ronan. Maternal grandparents Donna and Chris Lopez and Russell and Valerie Tweedy. Maternal great-grandparents are Judy and Richard McMullen. Paternal grandparents are Pamela and Wallace Lyons and Greg Huckabay. Paternal great-grandparents are Ramona Huckabay and Richard Sheldon. 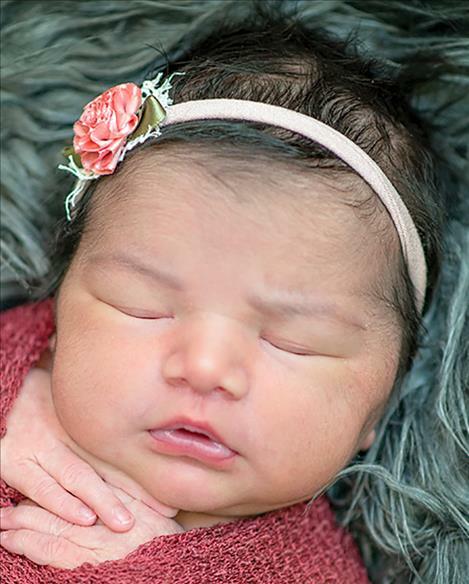 POLSON — Antoine Reid is excited to announce the birth of sister, Cataleya Michelle Blackweasel-Reid. 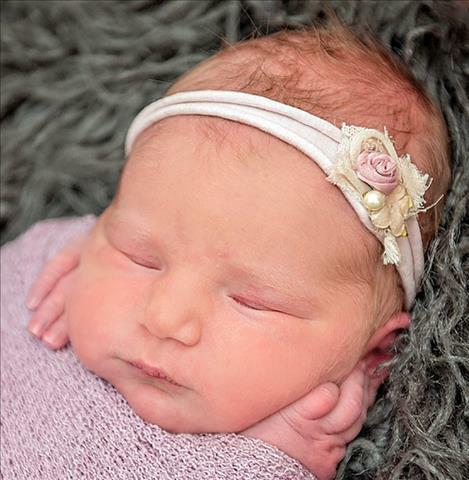 She was born on July 24, 2018, at the Nesting Place in Providence St. Joseph Medical Center. 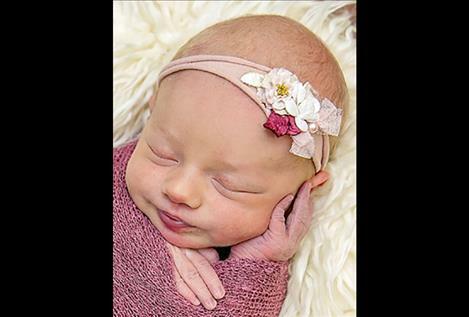 Cataleya was 20 and one-quarter inches long and weighed 7 pounds, 6 ounces. Her parents are Shalynn Reid and Trentin Blackweasel of St. Ignatius. Maternal grandparents are Michelle Mcloughlin and Brice Fry and Wyman Mcloughlin. Maternal great-grandparents are Janet Voise and Donna Reid and the late Mark Reid and Jerrald Tiny Mcloughlin. Paternal grandparents are Agnes and Earl Jr. Blackweasel. 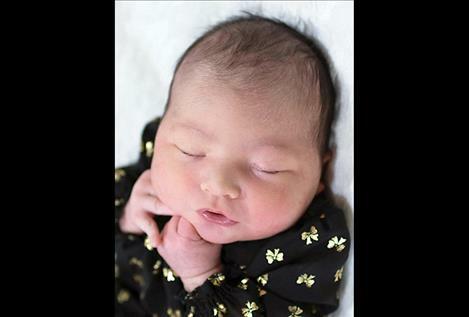 POLSON — Zemaya and Zefira Guerrero announce the birth of sister, Zehara Allena Guerrero. She was born July 24, 2018, at the Nesting Place in Providence St. Joseph Medical Center. Zehara was 21 inches long and weighed 7 pounds, 7 ounces. Her parents are Tatyonna and Everardo Guerrero Jr. of Polson. Maternal grandparents are Felicia Fisher and Carlos Fonseca. Maternal grand-parents are Donna Brooks and Jose Luis Fonseca and Brenda and Gary Fisher. Paternal grandparents are Adriana and Everardo Guerrero Sr. Paternal great-grand parents are Martha and Roberto Guerrero and Emilia and Juan Manuel Vaca. 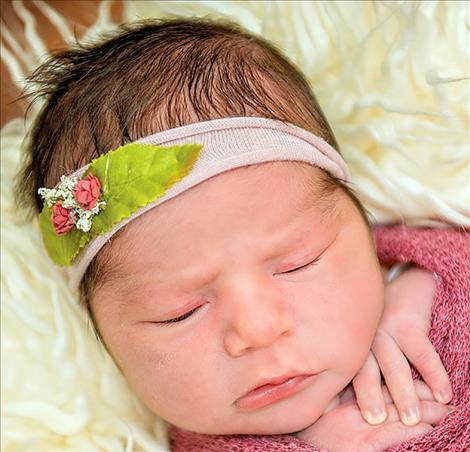 POLSON — Geraldine, Kaona, Nathaniel, Myranda, Ryiley, Sean, Kayson, Jason, Caleb, Sapheria and Jenessa Trahan announce the birth of sister, Reyna Sky-Marie Trahan. She was born July 11, 2018, at the Nesting Place in Providence St. Joseph Medical Center. 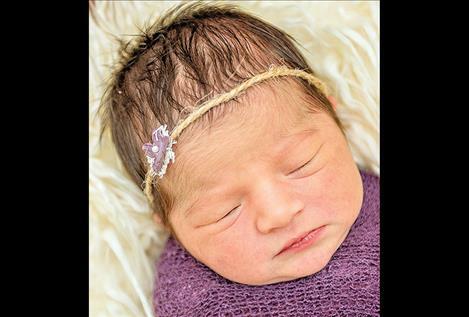 Reyna was 21 inches long and weighed 8 pounds, 8 ounces. Her parents are Monique Gates and Wayne Trahan of Polson. Maternal grandparent is Chuck Gates. Maternal great-grandparents are Agnes and Eli Alexander. Paternal grandparent is Geraldine Woodcock. RONAN — Jameson Geoffrey Cathey was born July 17, 2018, at St. Luke Community Hospital and joins sister Addison Cathey. He weighed 7 pounds, 3 ounces. Parents are Wacey and Brittany Cathey of Polson. Paternal grandparents are Joey Cathey of Broadus, Montana, and Laurie Gentry of Gillette, Washington. Maternal grandparents are Greg and Lynn Gardner of Polson. POLSON — Kinsley Sloane Mastre was born June 22, 2018, at the Nesting Place in Providence St. Joseph Medical Center. She was 22 inches long and weighed 8 pounds, 7 ounces. Kinsley’s parents are Erica and Joel Mastre of Charlo. Maternal grandparents are Marybeth and Dale Koehn. Maternal great-grandparents are Kimberly and David Unruh. Paternal grandparents are Joan and Bob Mastre and Frieda and Lewis Voth. Paternal great-grandparents are Lynette and Kim Mastre. 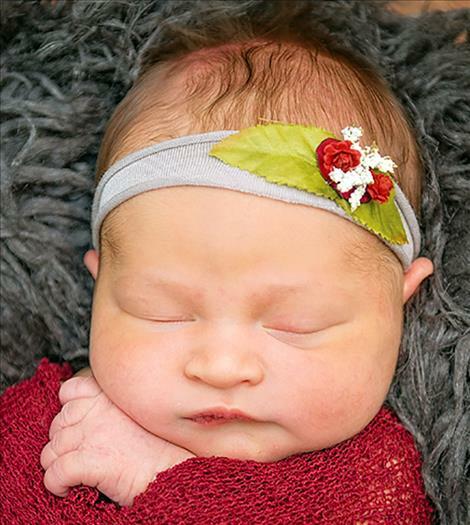 POLSON — Riley Marie Kowel was born July 24, 2018, at the Nesting Place in Providence St. Joseph Medical Center. She was 18 inches long and weighed 7 pounds, 3 ounces. She joins Z and Alexander in the Kowel home. 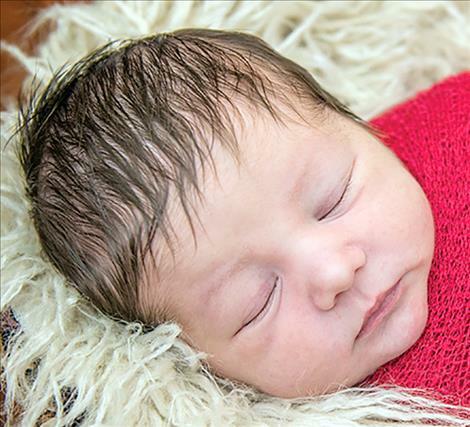 Her parents are Kara Johnson and Michael Kowel II of Polson. Maternal grandparents are Teri Monroe and Mark Johnson. Paternal grandparents are Lori and Michael Kowel.